Robarge says FBG plans on expanding the number of cordless uprights in its toolbox, but these aren’t the only battery-powered vacuums it is deploying. In fact, they weren’t even the first on the scene. 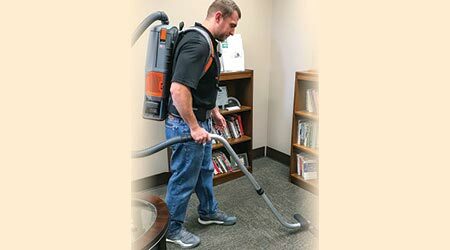 In 2014, FBG started using cord-free backpack vacuums, which is what got it interested in cordless uprights in the first place, says Robarge. The company currently has 135 cordless backpack vacuums. Because they’re more mobile and light enough to wear comfortably, Robarge thinks the cord-free backpacks will dominate over battery-powered uprights in FBG’s inventory. But for now, there’s still a place for corded backpacks and uprights at FBG. In fact, at this point there are more corded than uncorded backpacks. Still, the company is seeing more purchases of battery backpacks. The cleaning specialists have reacted very favorably to cord-free equipment in general, says Robarge. In fact, those who were given cordless backpack vacuums to try out were unwilling to give them up. In some cases, particularly in larger facilities, cleaning specialists would be armed with the full range of equipment: corded and uncorded uprights and backpacks. But in other environments — small offices or facilities with plush carpeting where an upright with a beater bar would work best — Robarge says they would not use both a backpack and upright. 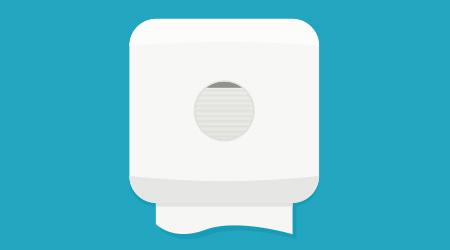 Instead, the company would rely on one or the other, either corded or cord-free. Although he’s an obvious fan of cord-free equipment, challenges still remain, in particular the run-times, battery weight and the costs, says Robarge. That’s why he hopes to see lighter batteries with longer run-times in the future.